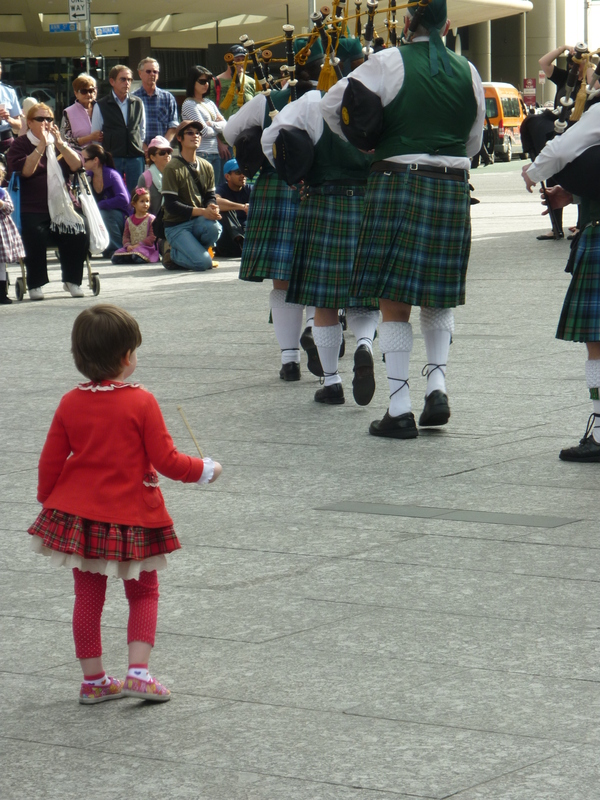 This bonnie wee tartan-clad bairn enjoyed every moment of the afternoon. in early July. The bonnie wee lassie in the tartan absolutely loved her day and was enjoying the pipes as much as any of us. 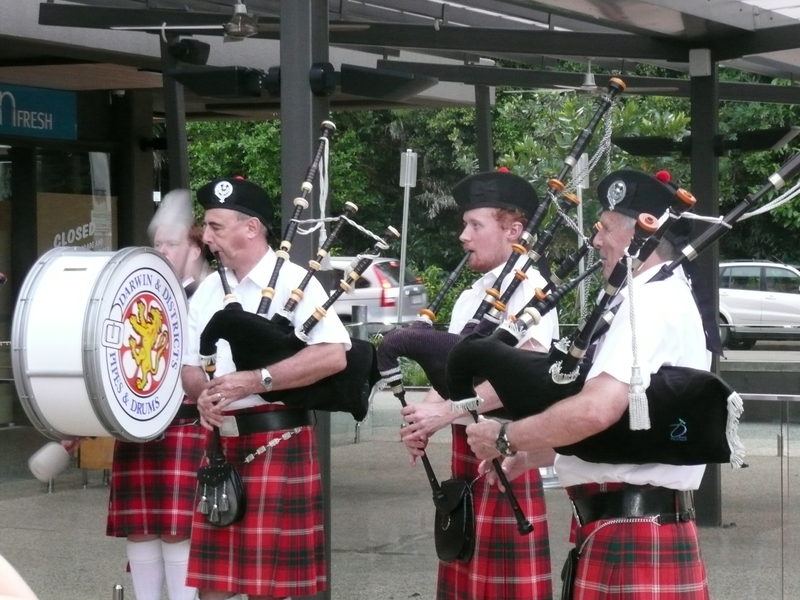 If you have bagpipes in your blood stream it’s just something you love while others find they sound like crazed cats. I can hear the pipes from a great distance and they call me in. They are stirring and can be melancholic, celebratory, or a call to arms, claymore in hand. Flower of Scotland! 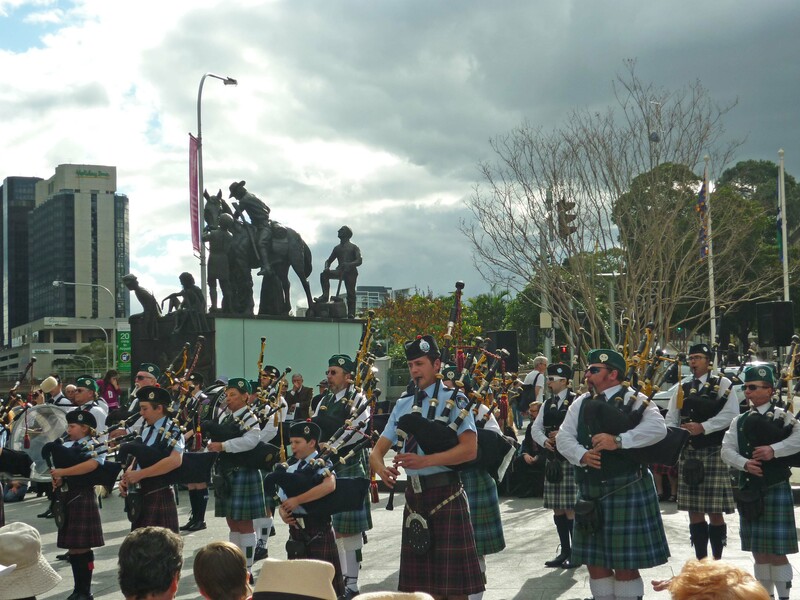 This entry was posted in Brisbane, Family History, Life in the Top End, McCorkindale Family History, Queensland, Scotland, Scottish Family History and tagged Bagpipe Appreciation Day, bagpipes, Brisbane, Darwin, Harmony Day, International Tartan Day by cassmob. Bookmark the permalink. Ahh, be still this Scots heart of mine! Stirs the blood doesn’t it?! Beautifully put -couldn’t agree more. But then my Scottish grandmother did share her love of the pipes with me.